Need another recipe to use up those bananas you let sit out a little too long? 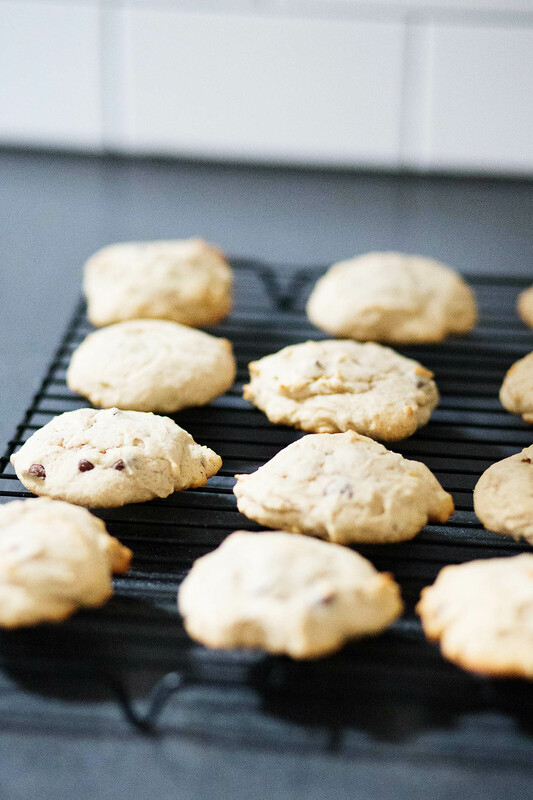 We’ve always loved banana chocolate chip cookies but I hadn’t made a gluten free version that quite met the standards of my old gluten filled versions… until now! 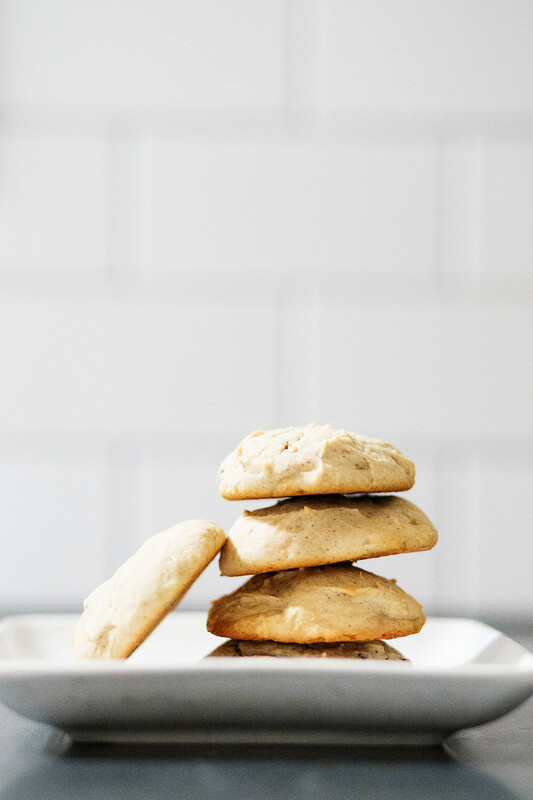 These cookies are the perfect transition into fall with a bit of fall spice mixed in with bananas and chocolate chips (you can add walnuts if you’d like). 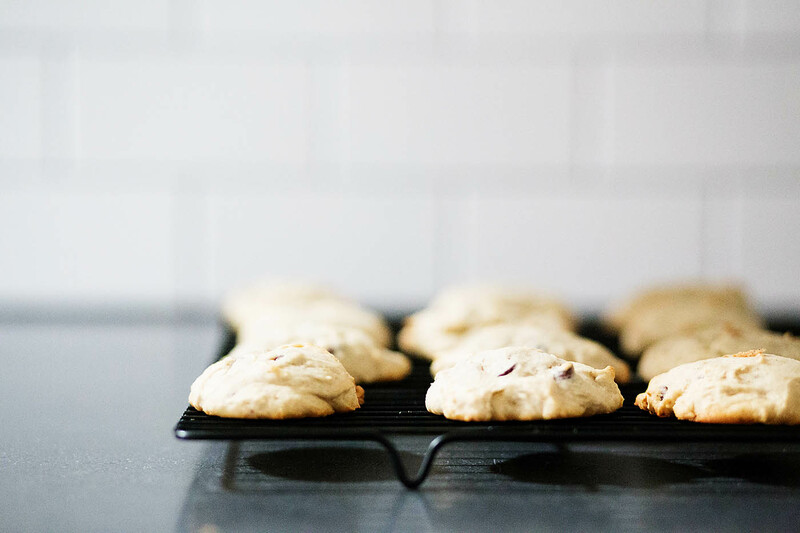 These cookies are cakey, soft, fluffy, and full of flavor. I used Bob’s Red Mill Gluten Free 1 to 1 Baking Flour. My mother in law scored me several LARGE bags of these on clearance at Sam’s Club and I’ve been finding it very versatile and a great all around flour to have on hand. Light, fluffy, cakey and full of flavor, these banana chocolate chip cookies are the perfect transition to Fall! Whisk together flour, salt, cinnamon, nutmeg, and cloves. Add to the wet ingredients and mix until combined. Place about 2 tbsp balls of dough onto parchment lined baking sheet. Bake for 11-13 minutes or until bottoms are golden brown. I have 2 bananas on my counter right now. I think I’m going to make some more. 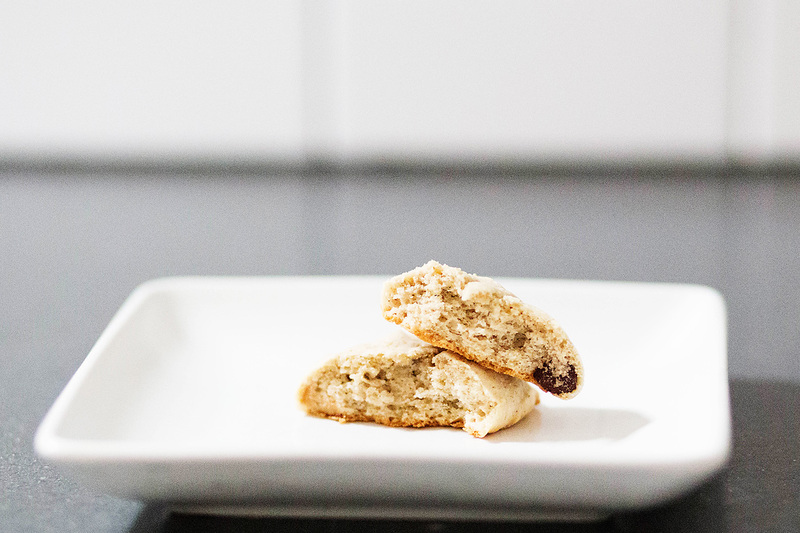 Once you’re ready for Fall, check out my simple pumpkin pancake cookies or pumpkin bar! I simply love bananas in every recipe, so I already know I’m going to love these to. They must be so delicious!